You are at:Home»Battle Rattle»Navy ditches ALL CAPS messages — will the Corps do it too? If reading Marine administrative messages in all capital letters makes you feel like your old drill instructor is screaming a new policy at you, the Navy might be providing some hope for change. Navy Times reported that the Navy’s personnel chief issued a policy directive likely unique from all other naval messages before it — the bulletin featured lowercase letters. The Navy is shifting to a new message-routing system that is cheaper and easier to operate and has the side benefit of sending messages that are easier to read. The issue has been getting a lot of attention in recent weeks. The Wall Street Journal cited Navy Times’ reporting in a front page story in their newspaper. Now the question is: Will the Marine Corps do the same? MARADMINs have a long history with the caps lock key. Early teletype machines, which the military started using in the 1850s, were made up of only three rows of keys and did not allow for lowercase letters. Morse code made transmitting messages faster, but still didn’t distinguish between upper and lowercase. While it might have been necessary to transmit all uppercase messages in the past, it’s arguably a hindrance today. A typography study from the 1950s at the University of Minnesota showed reading speeds slowed by about 14 percent when reading all-caps messages over a 20-minute period. Headquarters Marine Corps did not immediately respond to queries about whether the Navy will pave the way for lower case MARADMINs. 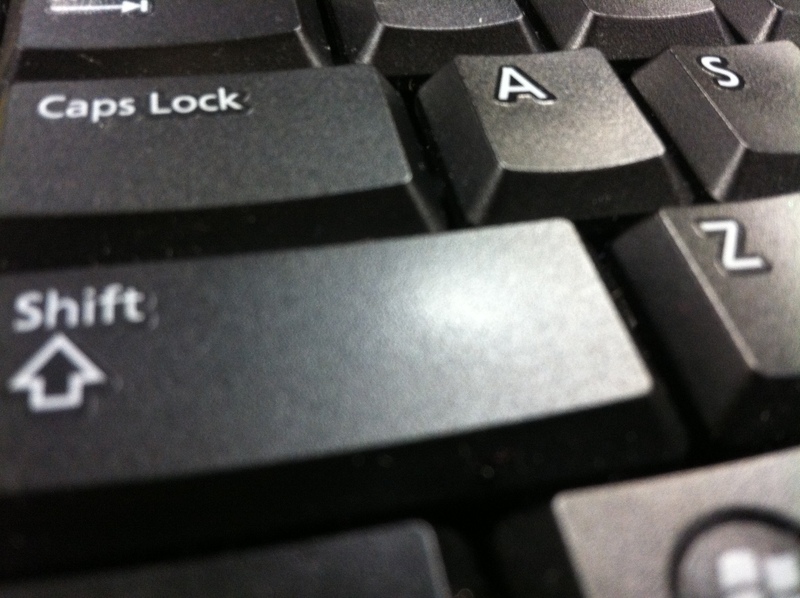 But at least one public affairs officer sees the potential to step away from the shift key as a positive. Tell us what you think. 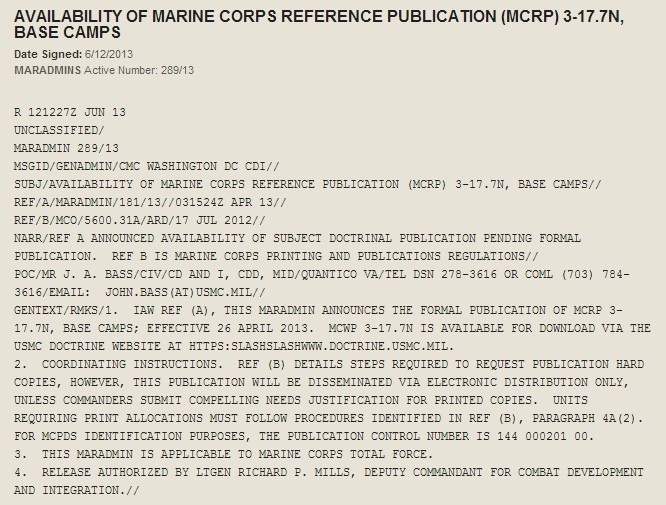 Is it time for the Corps to say goodbye to the all-caps MARADMIN? Navy Times staff writer Sam Fellman contributed to this report. What’s the problem? Next the gripe will be that it isn’t in the dumbed-down text format. Between texting and ebonics we are quickly loosing intelligent communications in this country. I know that I always ha a hard time reading the all caps messages. Sometimes it took longer to read the message than it did to actually do what was required. IF YOU THINK THAT ALL CAPS MESSAGES MAKES YOU FEEL LIKE YOUR BEING YELLED AT THEN DIAL 113 ON YOUR DSN LINE AND ASK THE OPERATOR TO CONNECT YOU TO SOMEBODY WHO CARES. I THINK THE NEW KIDS ENTERING THE MILITARY FEEL THEY HAVE A SENSE OF ENTITLEMENT TO EVERYTHING AND WE ARE DEFINITLEY GETTING SOFTER AS A CORPS, THEY CALL IT THE NEW MARINE CORPS BUT I CALL IT A BUNCH OF WHINERS WITH NO CUSTOMS OR COURTESIES ESPECIALLY TOWARDS NCO’S NOW. PFC’S WILL WALK BY SERGEANTS AND NOT SAY A DAMN THING AND THE SERGEANT WON’T CORRECT HIM EITHER. THIS IS AN EVERYDAY THINK. THE MARINE CORPS HAS TO WAKE UP EVENTUALLY BUT IM NOT GOING TO WAIT FOR THAT TO HAPPEN ITS JUST GOING TO GO FURTHER SOUTH SO IM GETTING OUT! IM DONE WITH THIS TOUCHY FEELY MARINE CORPS! Loosing or losing intelligent communication, William? THE MARINE CORPS WORKS BEST WHEN EVERYONE IS ANGY AT EVERYONE ELSE ALL THE TIME. WRITING IN ALL CAPS SUCCESSFULLY CONVEYS THIS CONSTANT SENSE OF ANGER AND RAGE. I THINK IT WILL BE GREAT WHEN ALL THE OTHER SERVICES HAVE STARTED WRITING LIKE NORMAL PEOPLE, WE WILL STILL BE TYPE-SHOUTING AS LOUD AS OUR FONT SIZE WILL ALLOW. ANGER AND DISCONTENT OOOOORRRAH!! !